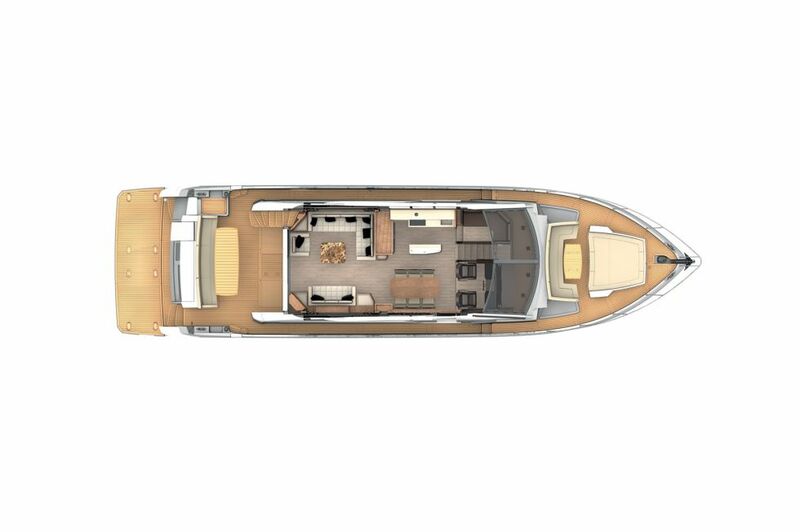 Cockpit’s dimensions amaze, thanks to the presence of a large sofa as well as table and peaks. 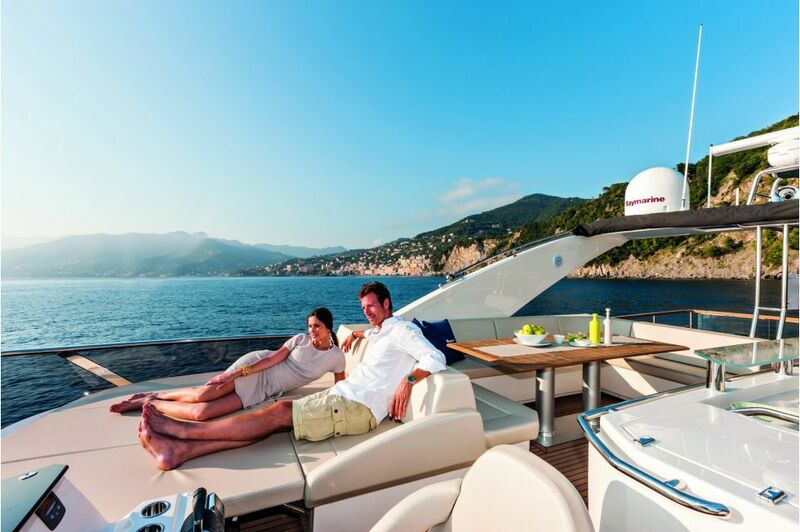 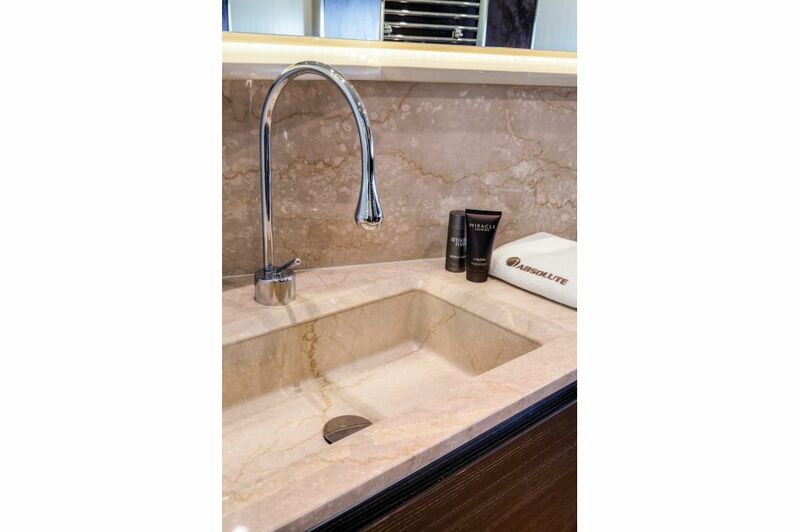 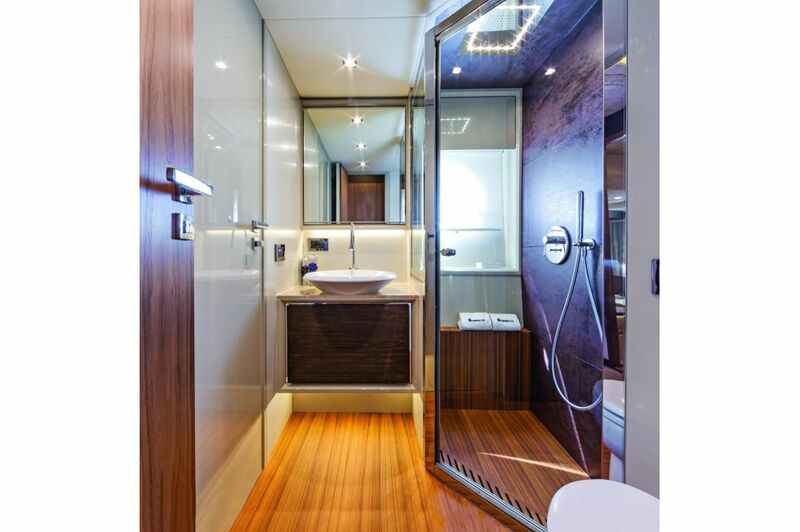 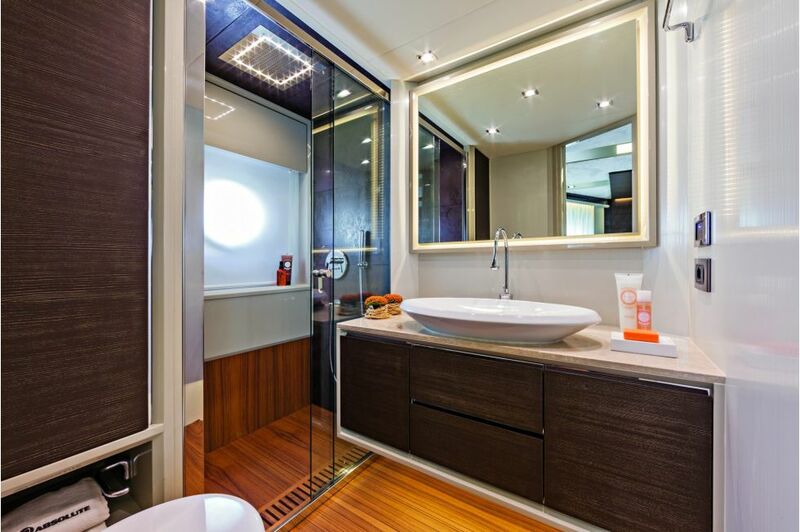 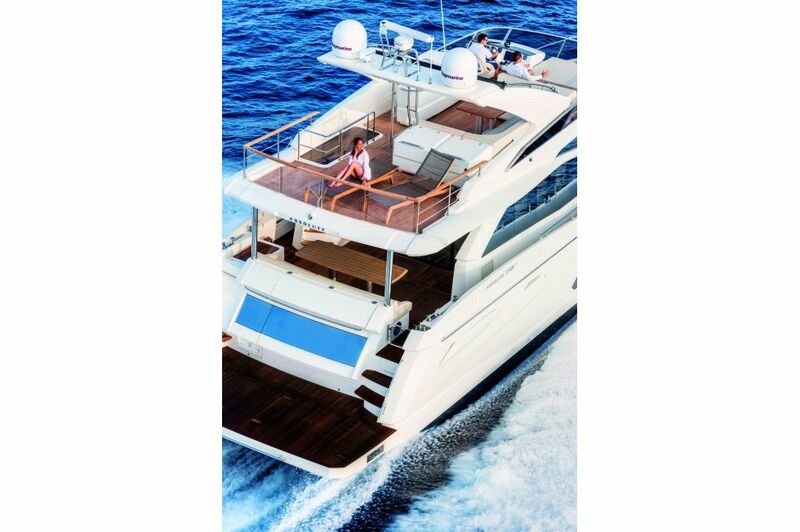 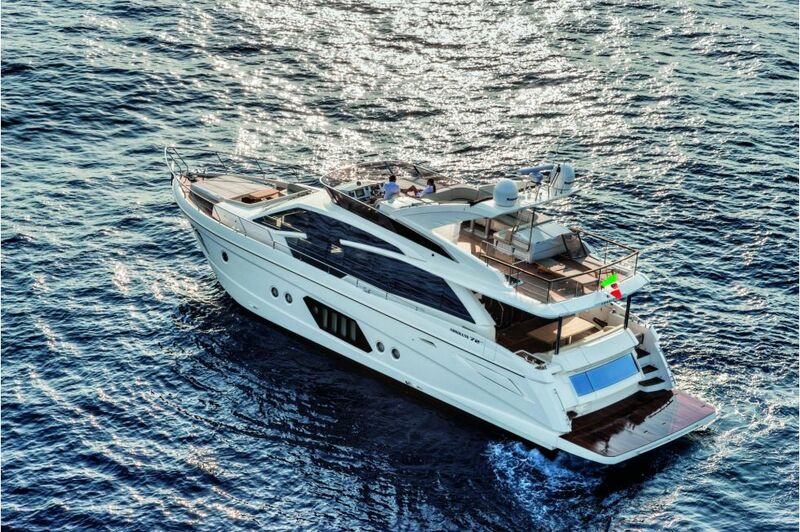 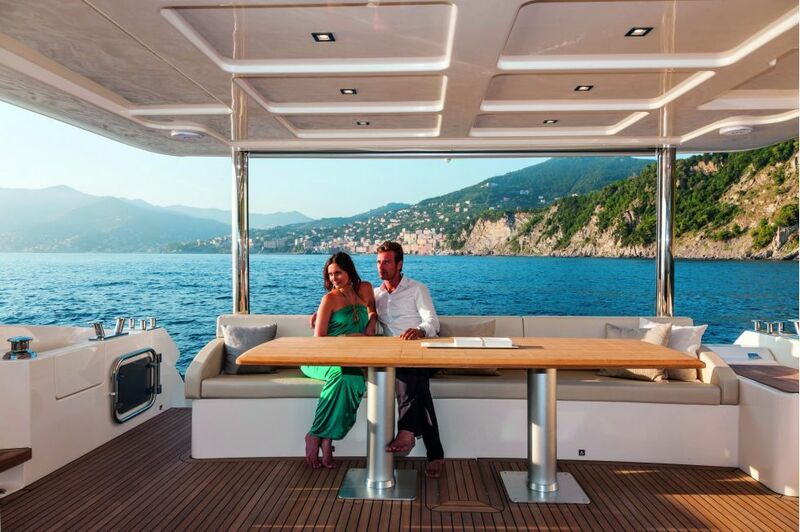 At the aft upper deck, there is a customizable terrace with a comfortable shower. 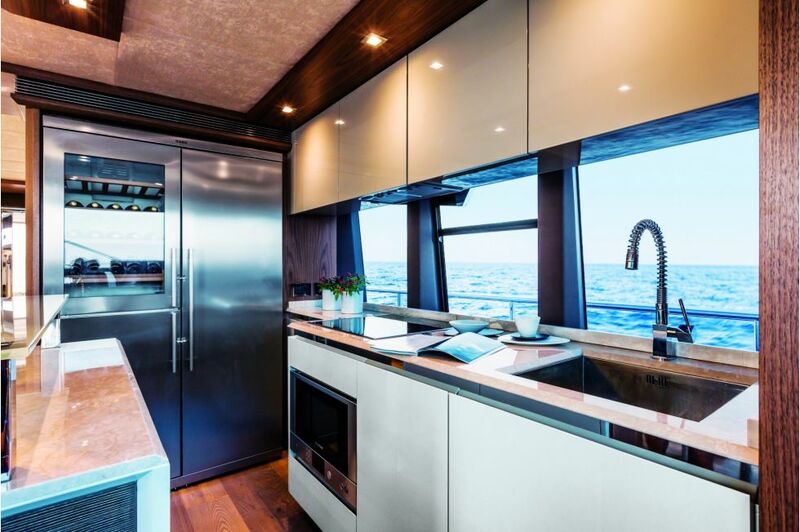 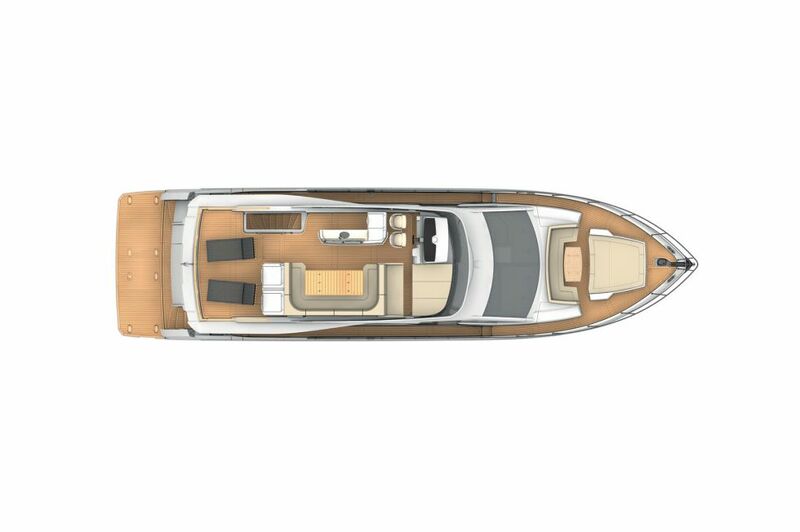 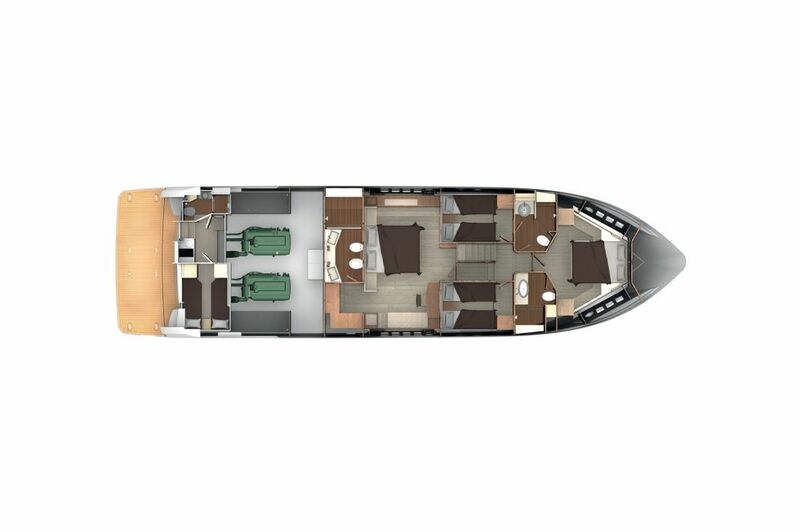 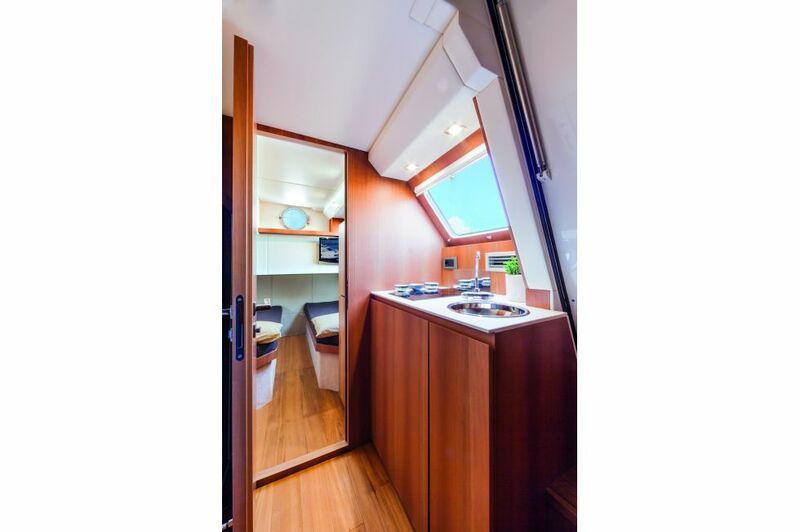 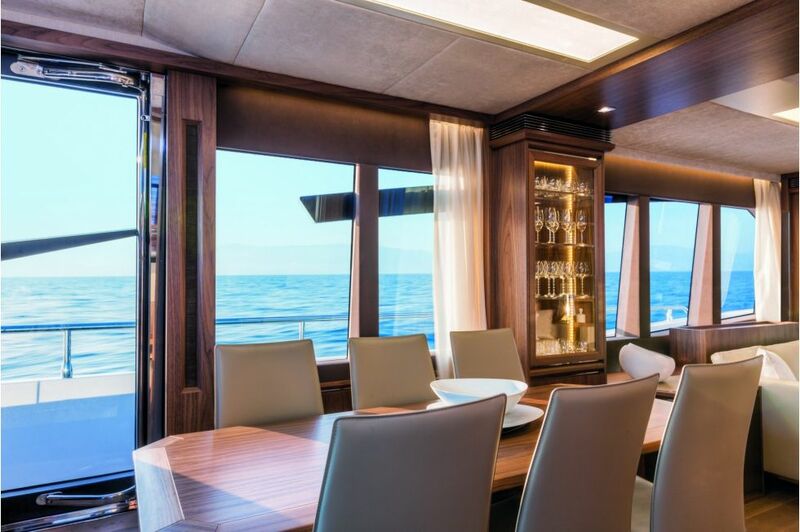 The interior’s compartment allows the creation of three different areas: the large living room with two sofas facing each other, the dining area at starboard bow, with a rectangular table for eight people and the kitchen on the port side, built as an open space. 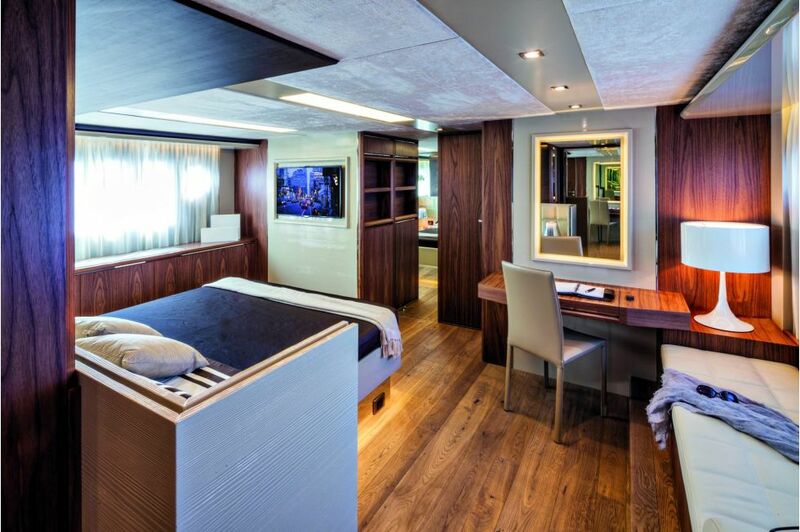 The lower deck is fully dedicated to the staterooms. 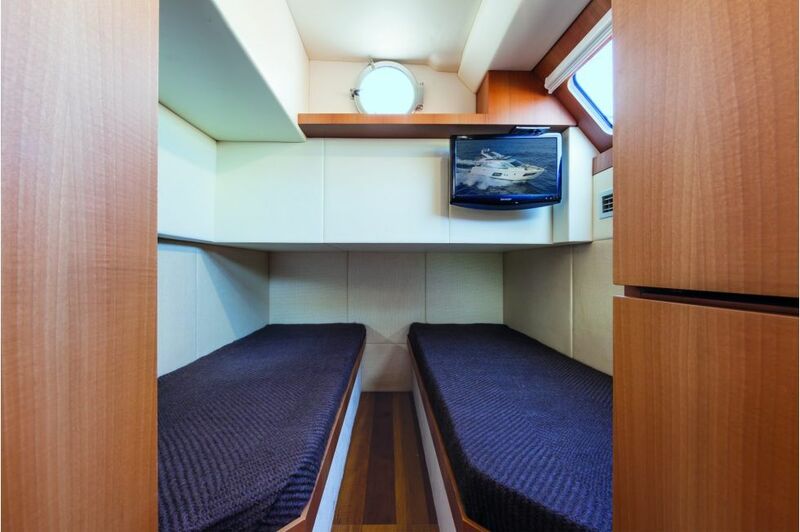 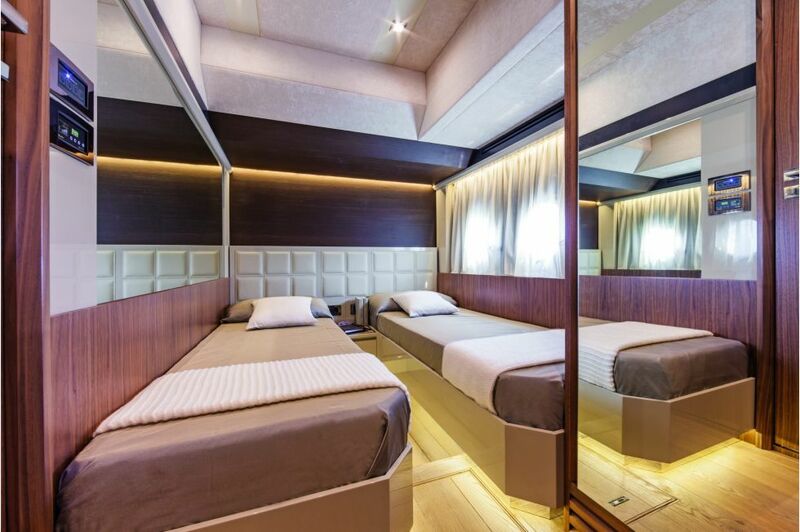 Thanks to an optimization of the volumes, this model has four complete and fully functional cabins and three toilets. 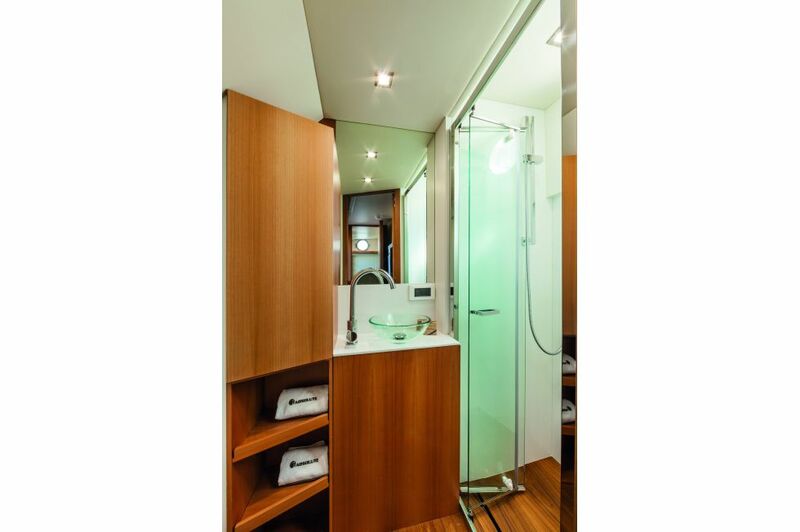 In the aft area, you can find the crew quarters: two single beds side by side, dedicated galley and a separated shower in the toilet. 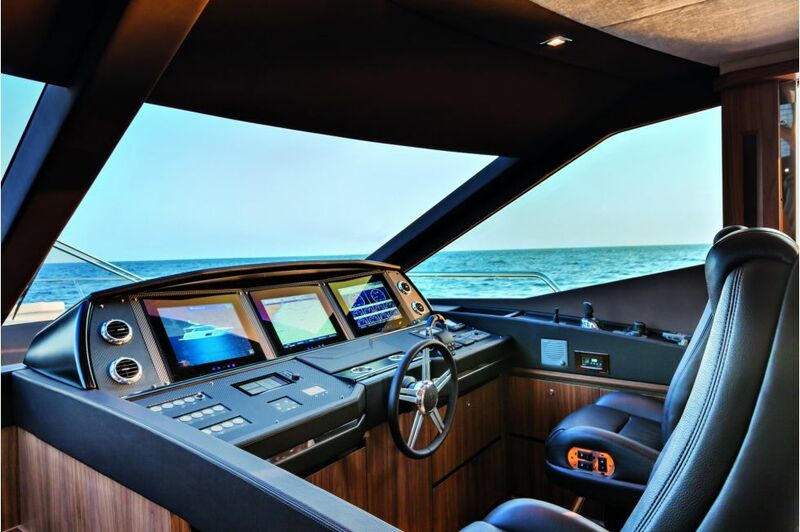 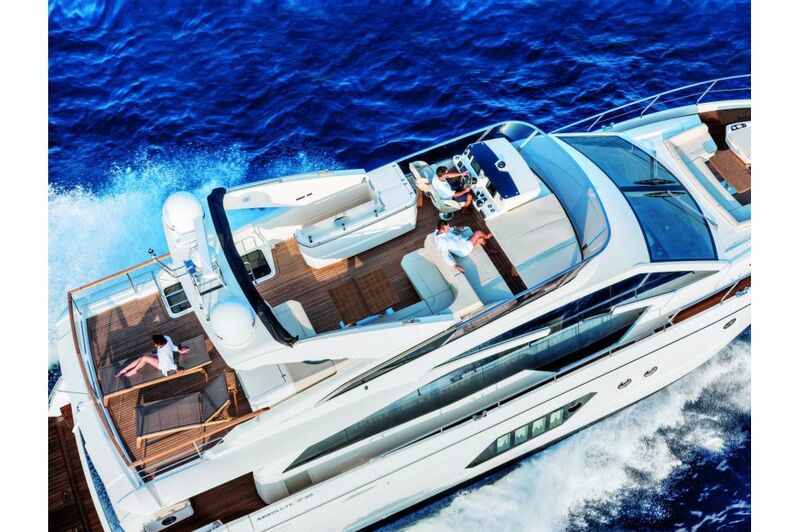 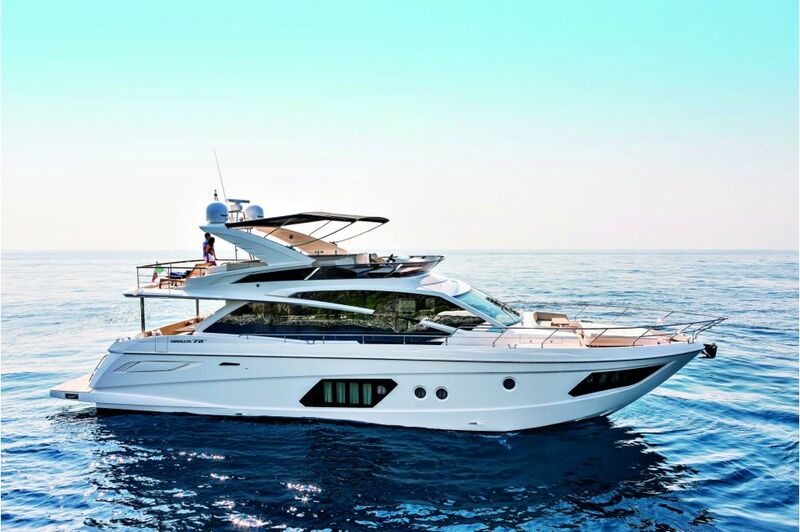 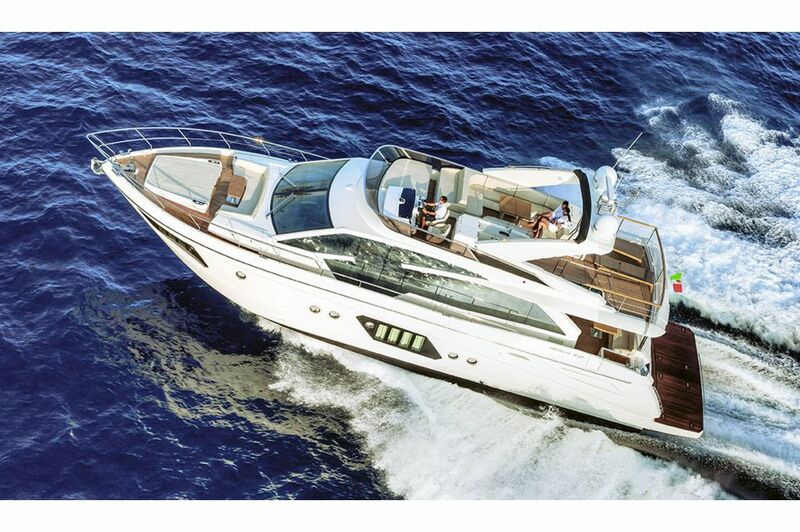 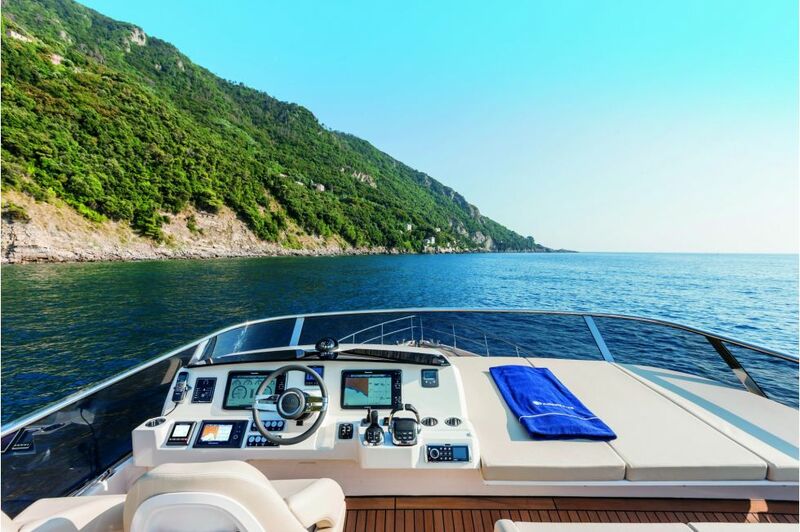 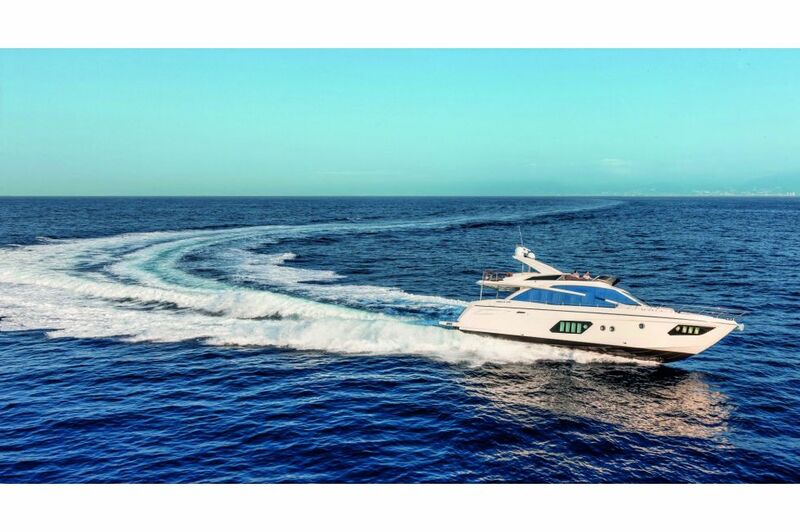 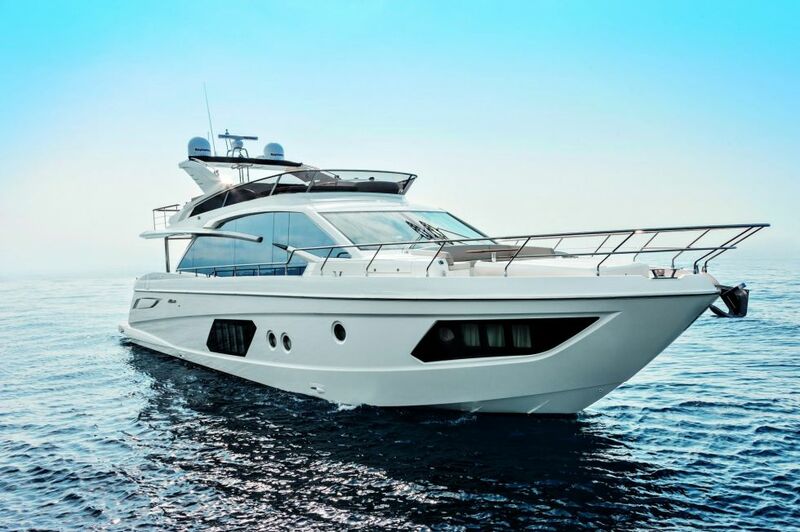 Thanks to the Absolute 72 fly, also the bigger luxury yachts can enjoy the versatility and ease of use, low costs and high availability, large living space, silence and respect for the environment, without sacrificing cruising performance suited for a large pleasure craft.